Back in March 2008, when Apple announced the iPhone SDK and the then-forthcoming App Store, many people immediately though: GAMES. I know we did — that’s why we started TouchArcade that very month. Another person who felt that gaming would be huge on the iPhone is Craig Rothwell of OpenPandora. 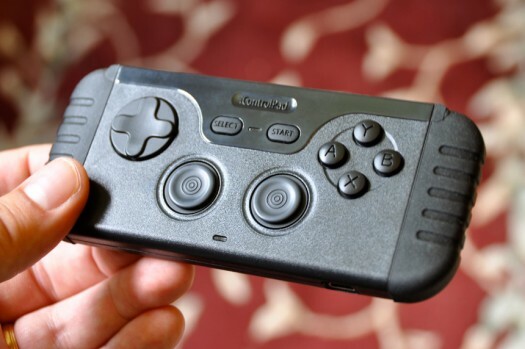 Seeing an opportunity there in the button-lacking iPhone, Craig and company began designing the iControlPad, a gaming accessory originally designed to mate with the iPhone and provide a D-pad plus four buttons. We first caught wind of this effort quite a while ago — over three years ago, in fact. In that time, the iControlPad has changed shape more than once, changed interfaces, and, finally, become a real product that can be ordered online. Yesterday, we received a test unit and I’ve been putting it through its paces and learning its ins and outs all day. Let me share my impressions. The first thing that strikes you about the iControlPad when you unpack it is its myriad inputs. There’s a D-pad, a four-button diamond, a Select and Start button, two back buttons, and two analog sticks. Best of all, the glorious analog sticks! And…the first disappointment comes when you, iOS gamers, discover that they’re rendered unusable due to Apple’s restrictions on the type of Bluetooth devices that can interface with iOS. The iControlPad is a complex device that features many different modes of Bluetooth operation: keyboard emulation, Serial Port Protocol (SPP), a slew of Human Interface Device (HID) modes, as well as custom combinations of several. What’s more, it features firmware that can be flash-updated from Mac OS X, Windows, and Linux. While, due to the aforementioned restrictions, the iControlPad can only interface with un-jailbroken iOS devices by way of keyboard emulation, it can interface with other platforms, including Android and WebOS, via the more robust protocols and, thus, deliver its full range of capabilities. Keyboard emulation does allow all other controls on the device to work under iOS — but no analog sticks, which need to send a constant stream of positional data to the host device. Jailbroken iOS devices can take full advantage of the analog sticks, as demonstrated in this iPhone demo video. 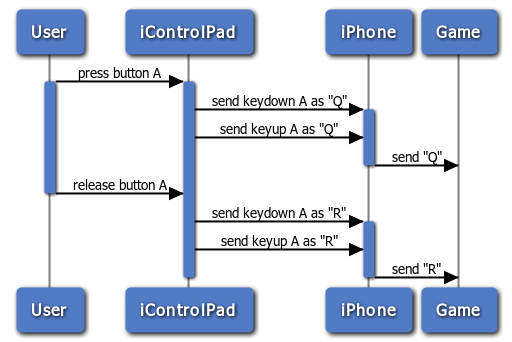 The iControlPad‘s keyboard emulation mode interfaces with iOS devices in a similar manner as the iCade, with one “keypress" being sent to the iPhone when an action begins, and another when that action ends. The following diagram, kindly provided by Stuart Carnie of Manomio, illustrates the basic event flow in this mode of operation. Under the keyboard emulation mode, the native iControlPad key protocol is a bit more complex than that of the iCade, and as a result it should exhibit slightly more latency than ThinkGeek’s control device, though happily, it’s not easy to see. No big worries though, as an imminent firmware update will allow the iControlPad to go into an iCade emulation mode, of sorts, using its same key protocol, which will allow it to work with any game coded to take advantage of the iCade controller. A little more concerning is a situation I noticed when playing games that require a great deal of button mashing (like R-Type). At times in such games, the onscreen ship would continue going in the last direction I triggered, ultimately flying off the screen or into a wall. I’m not certain, but it seems more a key signal issue than a physical issue of the D-pad sticking. If that’s indeed the case, I hope a firmware update will resolve the matter. The iControlPad itself feels pretty substantial. It consists of a core rectangular control unit with rubber end-caps that can function as a free-standing Bluetooth control unit for many types of devices. 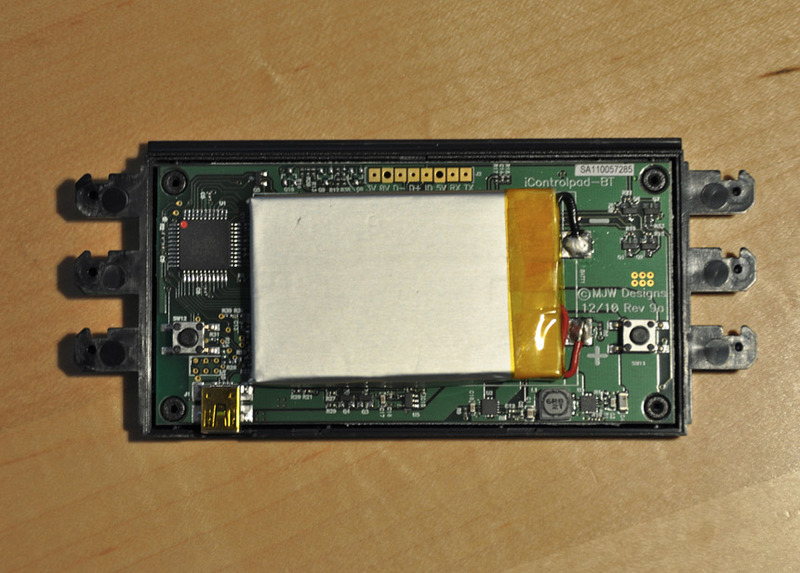 The standard end-caps can be removed and replaced with a locking plastic frame that allows various phone-sized devices to be physically connected to the unit. For iPad use, you’d want the generic end-caps, while you’d want the iPhone end-cap-frames to attach an iPhone. Other phones can use other end-caps. The unit features a non-removable, rechargeable 1350 mAh battery that can be used to charge your iPhone’s battery by way of plugging a USB OTG adapter into its USB port. 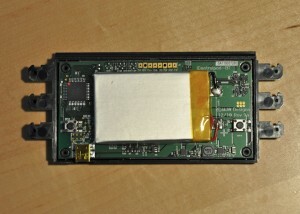 Given that the iPhone 4’s battery is 1420 mAh, the unit can deliver a notable boost in usage time for the host device. A very nice feature. As mentioned previously, I tested a number of games on the iControlPad-equipped iPhone, including R-Type. That’s Amiga R-Type running under a build of Manomio’s iAmiga emulator with iControlPad (and iCade) support built-in, kindly provided by Stuart Carnie. Any joystick-based game running under the developer iAmiga build in question can be played using the iControlPad. And played well — the experience feels great, aside from the occasional “sticking" issue that I spoke of earlier. If and when that gets ironed out, the iControlPad unquestionably delivers a far superior game experience than any manner of on-screen D-pad. That said, I only have this iAmiga build thanks to a developer connection. I am not aware of a single game sitting in the App Store at this moment that natively supports the iControlPad. 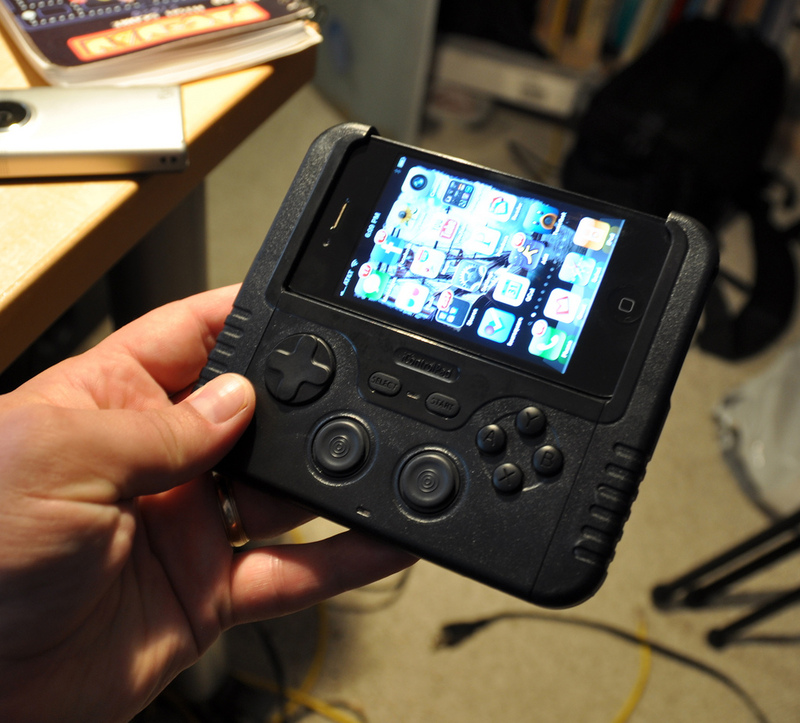 Several currently support the iCade, and when emulation for that device arrives, iControlPad users will have more to play with. I am sure that, in time, the device will gain app support, but it’s something of a bleak playing field right now. After spending a long day with the unit, I cannot recommend that the typical gamer run out right now and grab one. It’s true that I recently praised the iCade in my review, but as a physical arcade machine replica, it delivers more of an overall retro “experience" than simply a new method of control. And, there’s value there, to me and the other retro goons, I feel. I think the iControlPad needs to see some issues ironed out and a bit more adoption before it becomes a desirable accessory for the typical iOS gamer. For the hobbyist developer or the hacker sort with jailbreak in their blood, however, it’s a pretty great device to tinker with. I am definitely intrigued and think it’s got potential as something that might find itself on an iOS gamer’s wish list. Here’s hoping Apple loosens up its Bluetooth restrictions so that the iControlPad and devices of its sort can deliver their full functionality to iOS gamers. We’ll keep readers updated as the iControlPad evolves. Stay tuned.